It involves the use of computer software to plan and simulate desired tooth movement and followed by 3D printing of dental models to manufacture a series of custom-made clear aligners to gradually align your teeth into place. These aligner trays are made of smooth, comfortable and virtually invisible plastic that you wear over your teeth. Good news to working adults! There are no metal/ceramic brackets to attach and no wires to tighten. The best part about the whole process is that most people won’t even know you’re straightening your teeth. You just pop in a new set of aligners approximately every 1 to 2 weeks, until your treatment is complete. Invisalign was the pioneer of aligner treatment. For many years, it is synonymous with aligner treatment. It is the first to computerise and systemise the traditional way of making minor tooth movement with removable clear aligners. It has popularised aligner treatment with its treatment improvement over the years and its extensive marketing and recruitment of dentists and orthodontists as treatment providers. 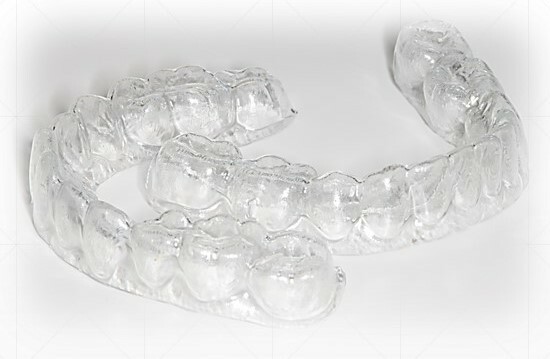 Many other companies, Insignia, eCligner, Clearpath, Mbrace to name a few, have jumped on the bandwagon to provide clear aligners after some of Invisalign’s patents have expired. Therefore, the treatment options and costs are more varied. The fact is clear (no pun intended). The option of having your teeth straightened without the need for unsightly brackets and wires, which are traps for food and bacteria, and still able to enjoy your favourite food without any restriction is simply a dream appliance for many patients! Best of all, you are “on track” in achieving a great smile day by day with minimal fuss and maximum impact at the end of treatment. However, before you decide this is the appliance of choice for you! Do take note that clear aligners are not suitable for every patient and type of malocclusion ( our orthodontists will do the assessment) and it will require discipline on your part to wear the aligners faithfully in order for your teeth to gradually shift into place. To improve the predictability and quality of aligner treatment outcome, our orthodontists can also combine aligner treatment with lingual or ceramic braces (e.g. upper aligner treatment with lower lingual or ceramic braces), marrying the best of each option. Speak to us about the options available.